I recently had the honor of being able to travel throughout Germany for a week exploring the Christmas Markets in five cities. I also live in Orlando, and visit Walt Disney World frequently, where the German pavilion at Epcot is one of my favorites. So, how did they compare? 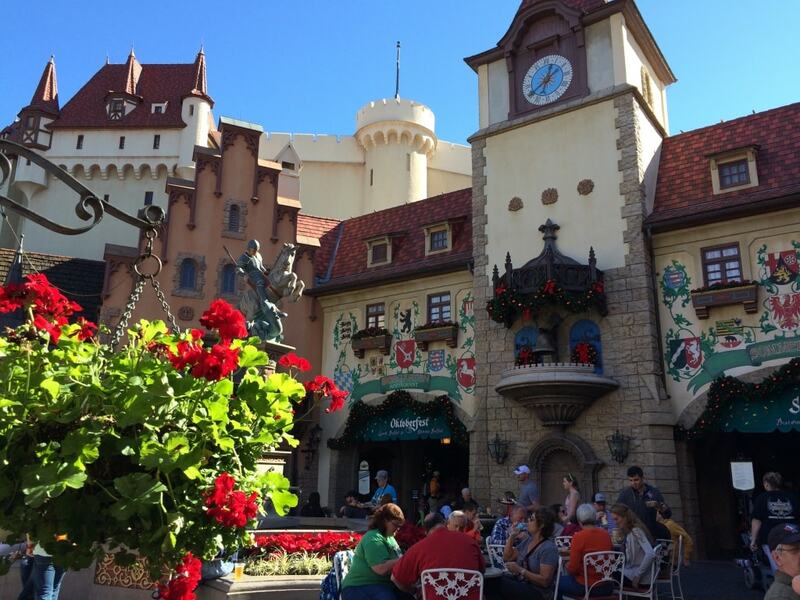 Is Disney’s Germany pavilion anything like the actual country? I think you’d might be surprised. First of all, there is nothing like experiencing the real country in Europe – for any of the World Showcase Pavilions in Epcot. I’ve been fortunate enough to have visited many of the real countries represented in Disney’s World Showcase pavilion. But if you can’t get across the Atlantic Ocean to set foot in Germany, Italy, or France, then the Walt Disney World recreations are pretty close to the real thing. Germany is old, and the rugged half-timbered buildings that family’s have been living in since before our country was even born are way more interesting than a recreation. The ancient, cobbled walkways are worn bare from centuries of use, and are hard to walk on compared to modern paved roads. 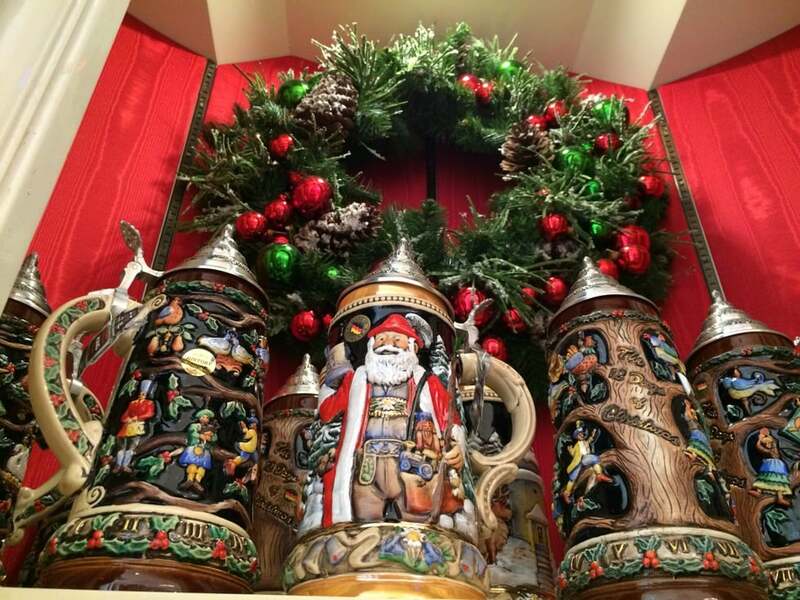 The Christmas decorations are real – with real pine trees found in window boxes and alcoves surrounding the small shops selling specialty goods – so much of which is actually made in Germany. 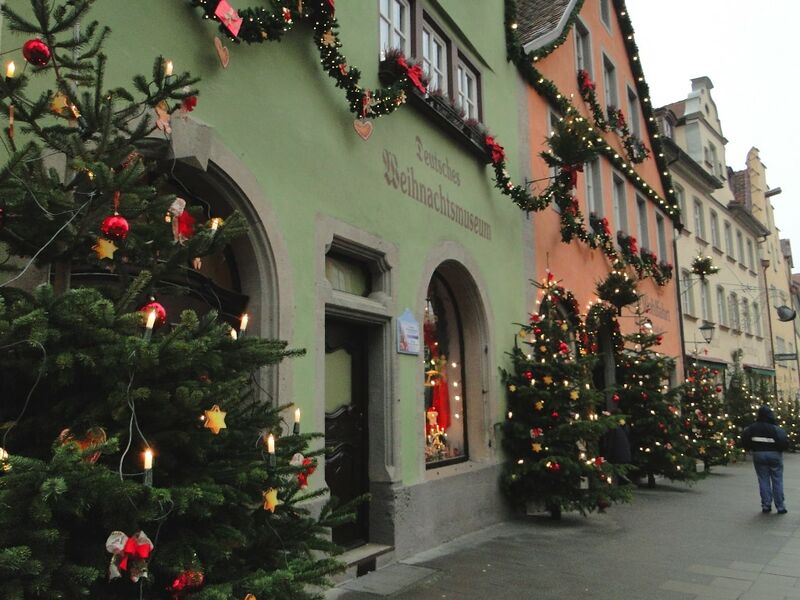 Real Christmas Trees line the walkway in front of Kathe Wohlfahrt’s store in Rothenburg, Germany. 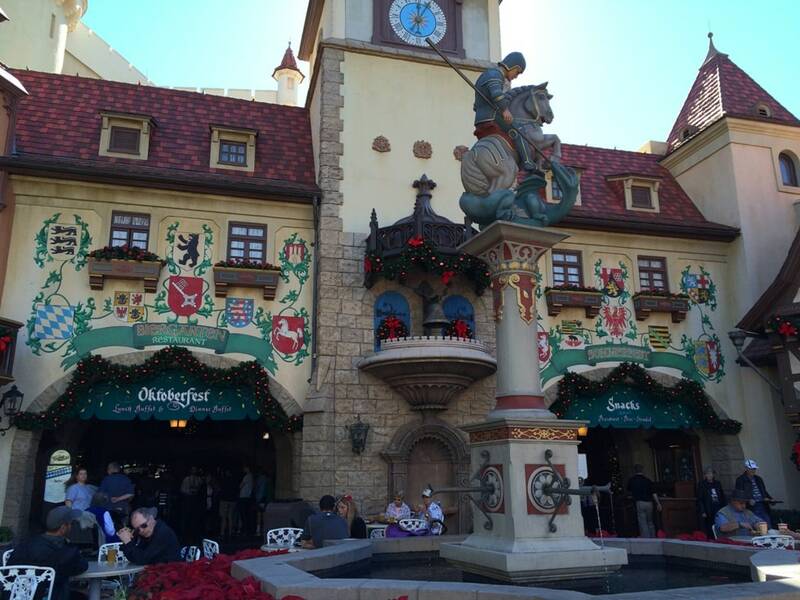 Yet the Disney recreation of Germany is pretty close, just cleaned up and spiffed up to look more like Disney. The main square is a pretty spot-on representation of Rothenburg ob der Tauber, a medieveal town that I was fortunate to visit on my Christmas markets tour. The real town’s square does have a statue of St. George and the Dragon. I wish I could have seen it up close, but a glass enclosure surrounds the actual statue in Germany during cold weather, so that water condensation doesn’t fall on the statue and freeze, damaging it. The real St. George and the Dragon statue in Rothenburg, Germany, covered for protection from winter weather. 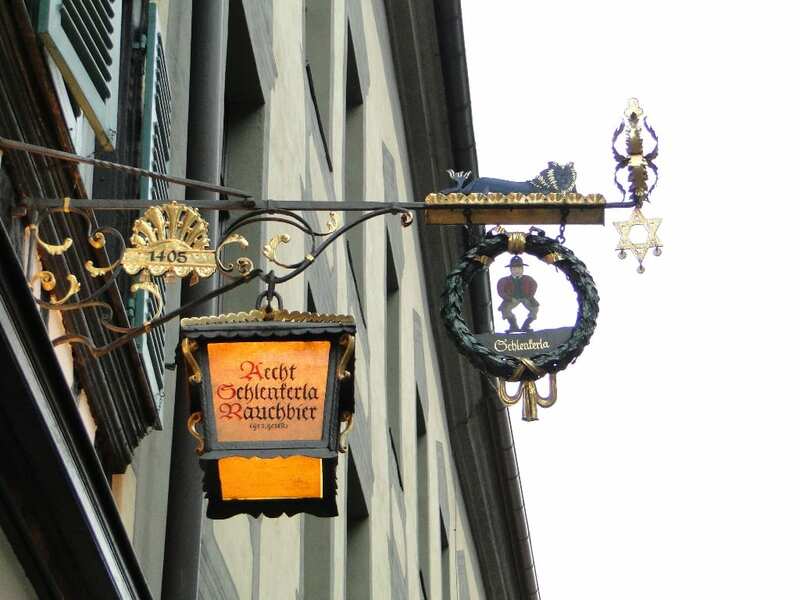 The glockenspiel was found in Rothenburg’s main platz, or square, too. The shops do look small and have the metal signs detailing what they’re selling. 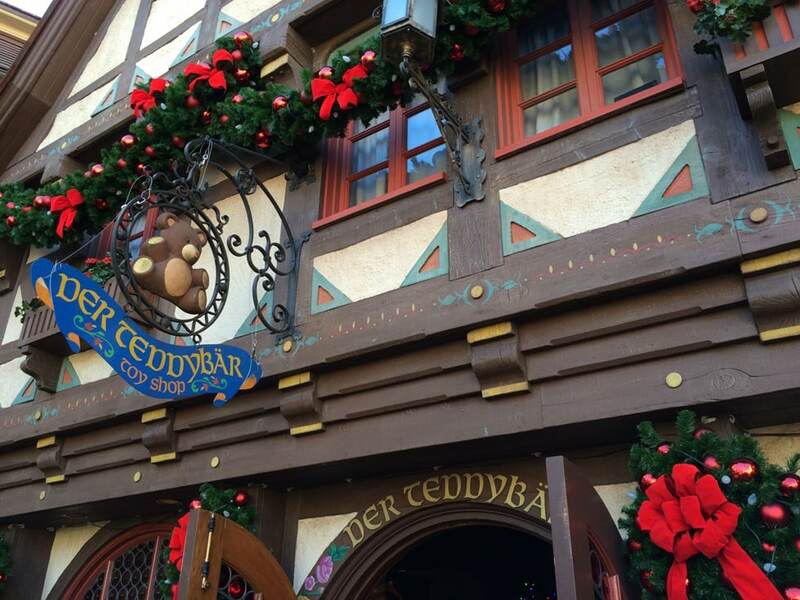 A Teddy Bear store sign in Disney’s Germany Pavilion. An actual sign from a bar in Bamberg, Germany. 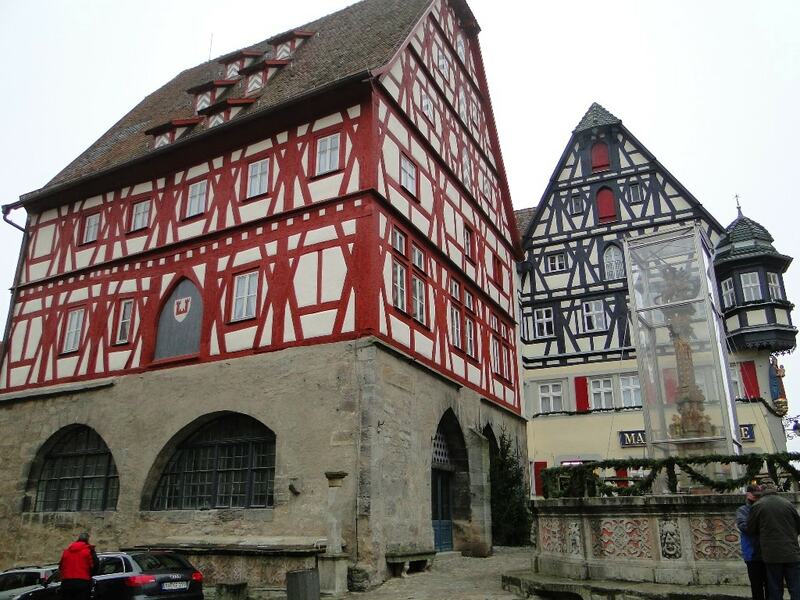 And, yes, in cities such as Rothenburg, the half timbered buildings are just as charming as you might think. 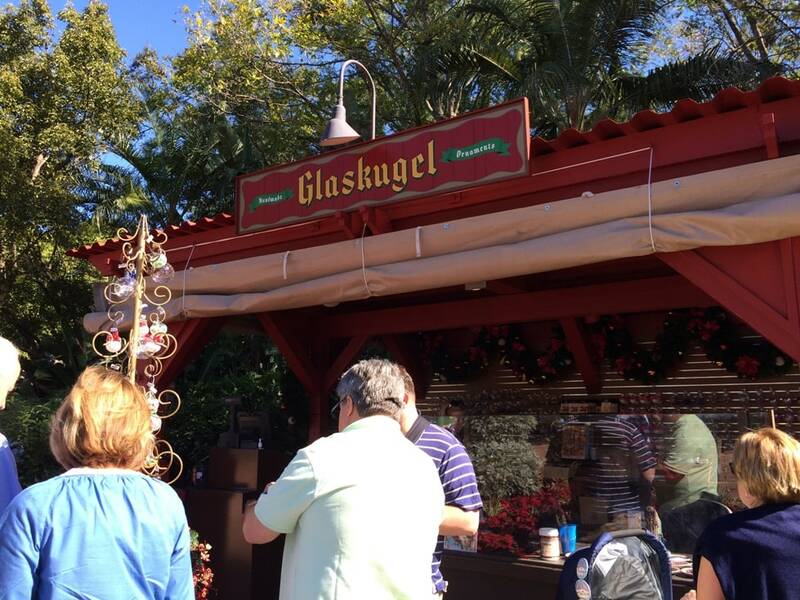 For Christmas at Disney’s Epcot, a small representation of a Christmas market has been set up to the side of the Germany pavilion. While it is a nice try to represent the unique charm of European Christmas markets, it does fall short in authenticity. There’s nothing like gathering around small stands lined up in Christmas markets with the scent of chestnuts roasting, sausages being fried up, hoards of people drinking hot gluhwein, and shops selling German-made Christmas decorations and gifts. 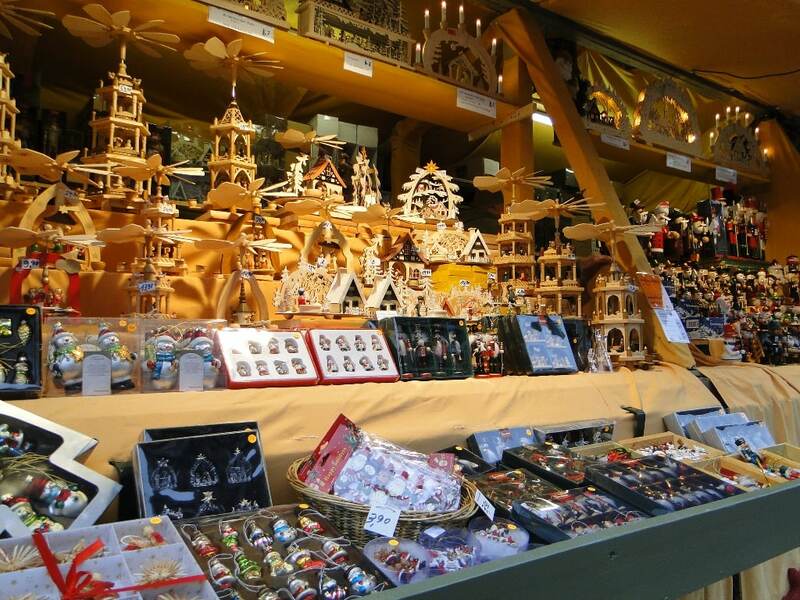 A real German Christmas market shop. 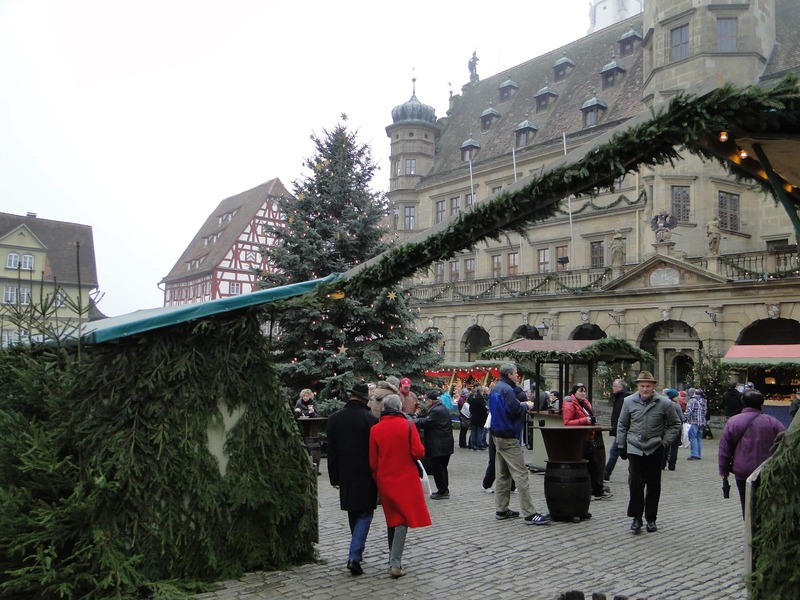 Entering Rothenburg, Germany’s Christmas market. 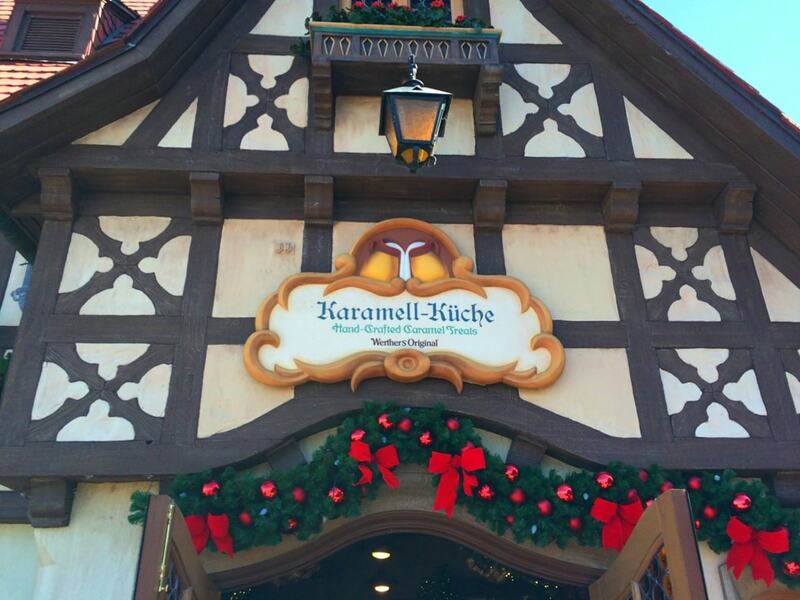 Disney has put up a stand selling some food designed to be like what you’d find in Germany’s Christmas markets. There is gluhwein, but part of the fun of gluhwein in the actual country is finding and collecting the keepsake mugs that are unique to every market. That can’t be replicated in a one drink- one option food stand. 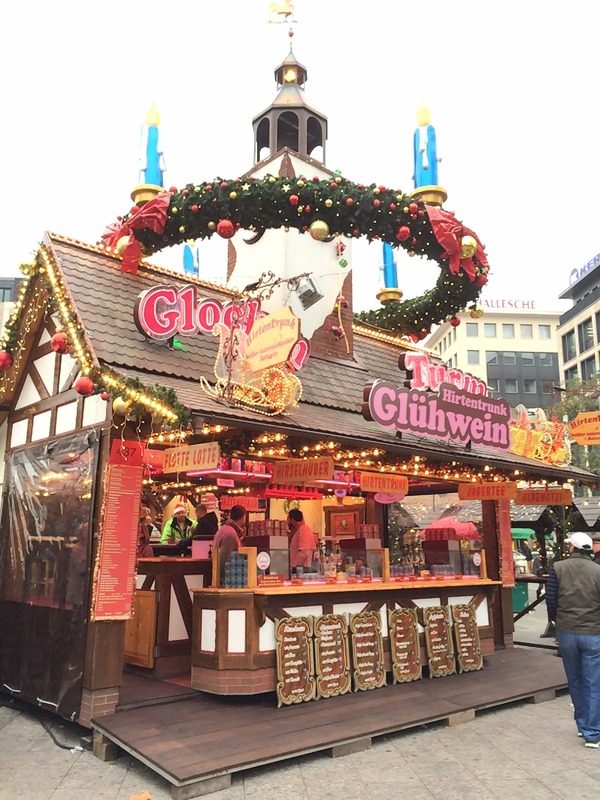 A shop selling gluhwein in Frankfurt, Germany’s Christmas market. There’s no massive kitchens where you can see the chefs roasting German sausages, or making crepes in front of you. There’s is a small glass ornament shop located in this Christmas market at Disney World, but I never saw anyone blowing glass at the many Christmas markets I visited in southwest Germany. Woodwork would have been a more traditional feel of what the ornaments are like in Germany, but that’s not to say that glass blowing doesn’t exist somewhere else. The sausage is good in Disney World, but nothing like the real thing in Germany. I think Germans might actually be horrified to have to open a packet of Gulden’s mustard to put on a sausage sandwich, when buckets of the real, good stuff can be found at any food stand in Germany. 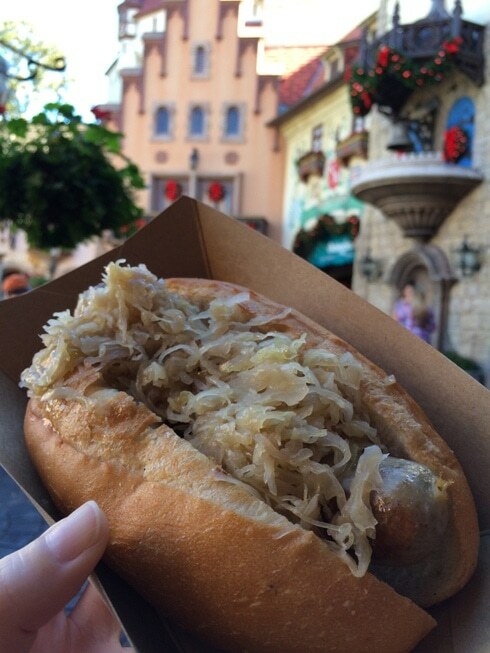 The bratwurst available at Disney’s Germany pavilion. 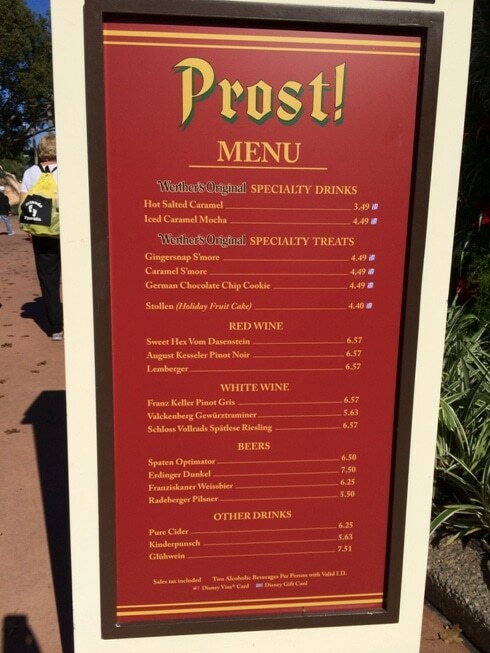 The merchandise in Epcot’s Germany shops is somewhat authentic and what you’d find while in the country. Granted, there’s a lot of kitschy, cheesy crap that’s being sold for tourists in the Disney shops, like beer mug hats, that you wouldn’t find in a good quality merchandise shop in Germany (the tourist traps, though – yes). 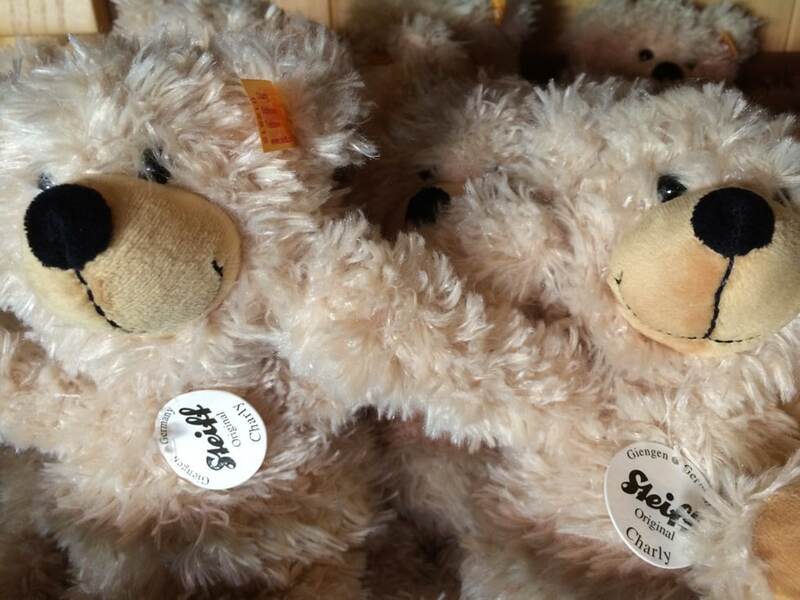 I was thrilled at finding Steiff stuffed animals in Disney’s Germany shops, some at decent prices. The food products were authentic, too, as I had many of the jars of mustard sold in Disney’s Germany shop at actual restaurants in Germany. 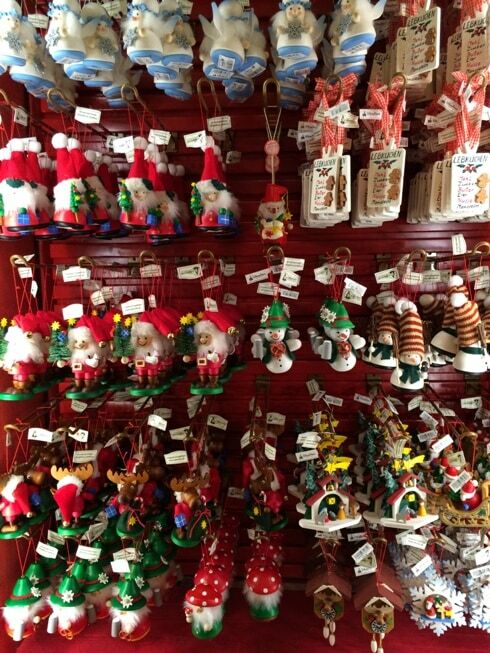 In the Christmas store, I was especially critical of what I found compared to walking through Germany’s authentic Christmas markets. I am impressed with Disney’s choices, though. 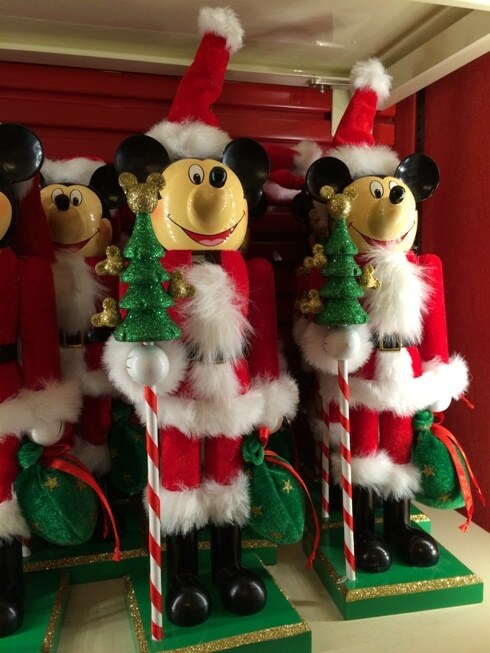 There aren’t any Mickey wooden nutcrackers being sold throughout Germany, let’s just get that straight. And glass blown ornaments, as popular as they are, don’t come in Dopey and Minnie Mouse shapes in Germany. 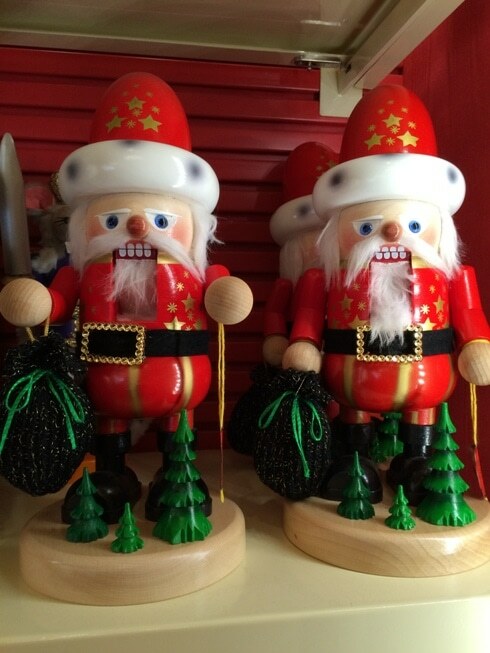 However, the wooden toys and wooden nutcrackers were authentic, with labels that I found shopping in Germany’s Christmas markets. In fact, I bought a German snowman ornament (shown below) at Kate Wohlfahrt, a well known Christmas shop and museum in Rothenburg, Germany. 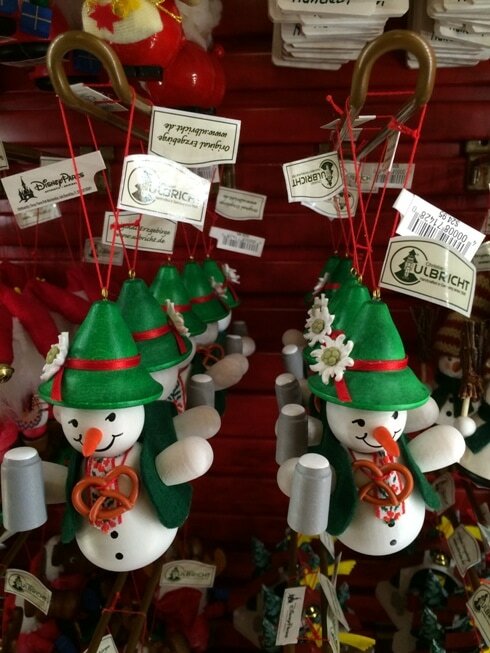 The store is known for selling authentic German Christmas ornaments and gifts. 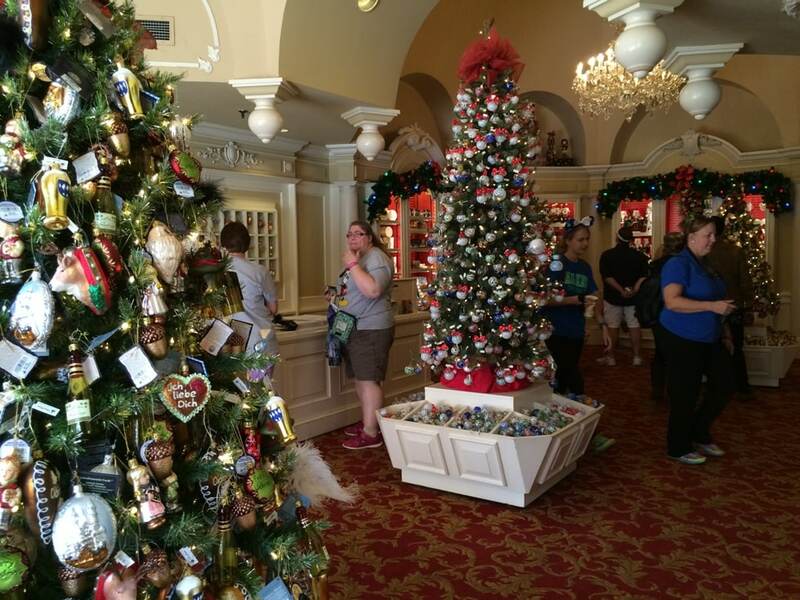 I was extremely surprised to find the exact same ornament for sale in Disney’s Germany Christmas shop! I really can’t believe it’s the same thing that I brought back from Germany. The price is a little higher than the price in Germany, but you don’t have to fly overseas. The one thing that I really have a problem, with, though, is the Werther’s Originals store and bakery in the Germany pavilion at Disney. This is definitely not something that I ever saw in Germany. So there you have it. Wondering if Disney’s Germany pavilion looks like the real thing in Germany? Yes and no. If you can’t get to Europe, this is a nice representation of what you’d find. But if you ever have the chance to visit the authentic Germany and other European countries, nothing can ever replicate their charm and character. Love this. Having spent time in Germany and Epcot, you’re spot on!